For teaching children with autism how to swim, preparation is often key to success. By having the child's parent complete this checklist, you will be more prepared and ready to provide the supports and strategies appropriate for your student. 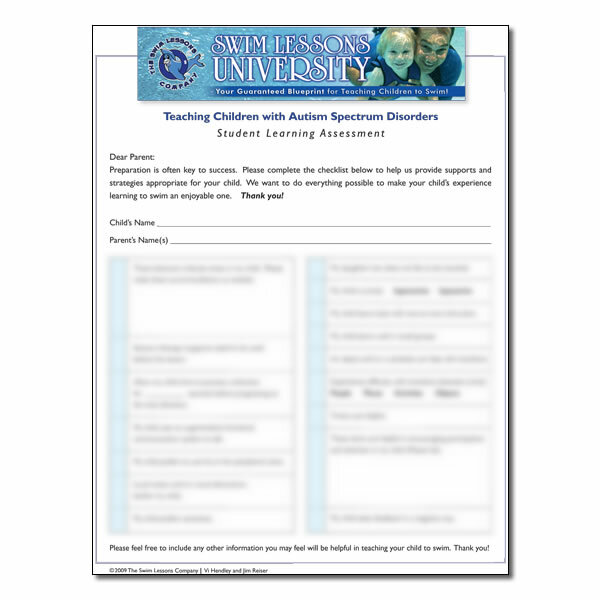 Because no one child with autism will come to you with identical needs, this student assessment checklist will provide you with the information you need to be successful from the start! Download it today for just $10.00.